This recipe for green pea hummus dip serves 6 and comes from the Yes Peas! Recipe Book. Just cover the peas in a pan of boiling water and simmer for 3 minutes. Drain the peas and put in a food processor along with all the other ingredients; mix well until a paste is formed. Season with sea salt and black pepper according to taste. Serve the green pea hummus in a dipping bowl, form a small hole in the centre of the mixture and add a tablespoon of olive oil and lightly dust with chili powder. Serve with crackers or toasted pitta bread. 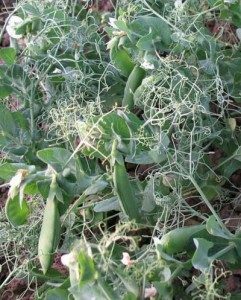 There are lots of other pea recipes in the Yes Peas! recipe booklet. Peas are very nutritious. One serving of the Green Pea Hummus recipe contains 135 kcal, 6.3g protein, 8g carbohydrate, 2.3g sugars, 9g fat, 1.3g saturates, 4.9g fibre, 0.1g salt.